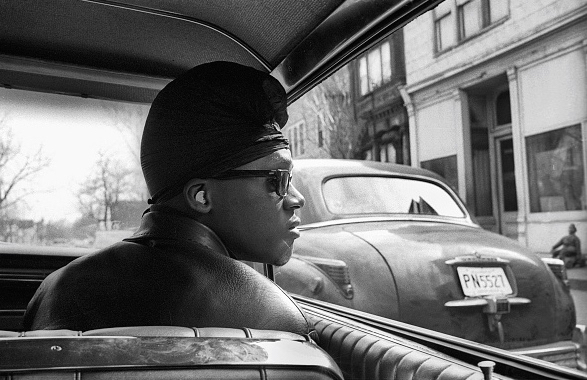 The Black P Stone story goes all the way back to the year 1959 in the Woodlawn neighborhood on Chicago’s south side. 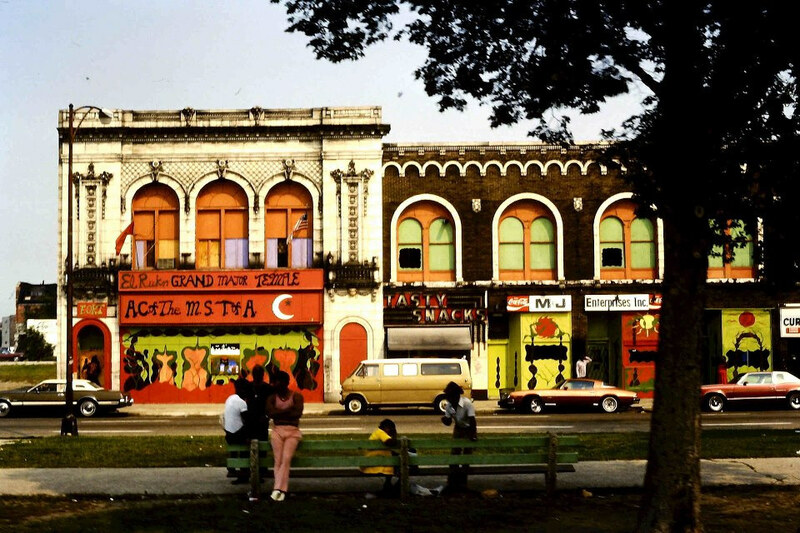 The Black P Stones’ creation was a result of poverty, racism and the rising up of gang activity in Woodlawn. 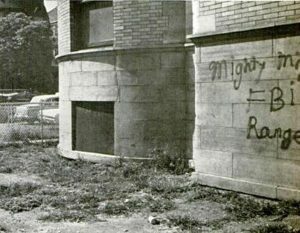 The Woodlawn neighborhood was a mostly white neighborhood up until the 1950s, as the mostly white community battled since the turn of the 20th century to stay almost all white. Woodlawn did whatever it could to keep black families from moving in but this program did not work and by 1960 89% of Woodlawn was African American. Eugene Bruce Hairston was born May 1st, 1944 in Columbus Ohio to Bruce and Lena Hairston. His family nicknamed him “Lil Bull.” Lil Bull was the oldest of two sisters and two brothers. Lil Bull’s family first settled in the Low End (east side of Washington Park runs north-south between cottage grove/state street and east-west from around 55th/47th…towards Roosevelt) for a very short time before they moved to Woodlawn (The Almighty Black P. Stone Nation, Moore, Williams). They were forced to move out because that area was having several older homes torn down to make way for public housing. They moved in somewhere over by Stoney Island Ave in Woodlawn sometime around 1956. Jeff Fort was born February 20th 1947 in Aberdeen Mississippi. He was the son of Annie and John Lee Fort, Jeff was one of 10 children that included three sisters and 6 brothers (The Almighty Black P. Stone Nation, Moore, Williams). The Forts moved to Chicago in 1955 to 6536 Blackstone Ave (65th Place and Blackstone). Here is what most people do not know. The Forts and the Hairstons knew each other before any of this gangbanging happened. The two families used to hang out back in the mid-late 1950s and Jeff and Lil Bull were friends. In the later 1950s the two boys often were getting in trouble in school and even on the streets, especially Jeff Fort who was getting in trouble at home too. 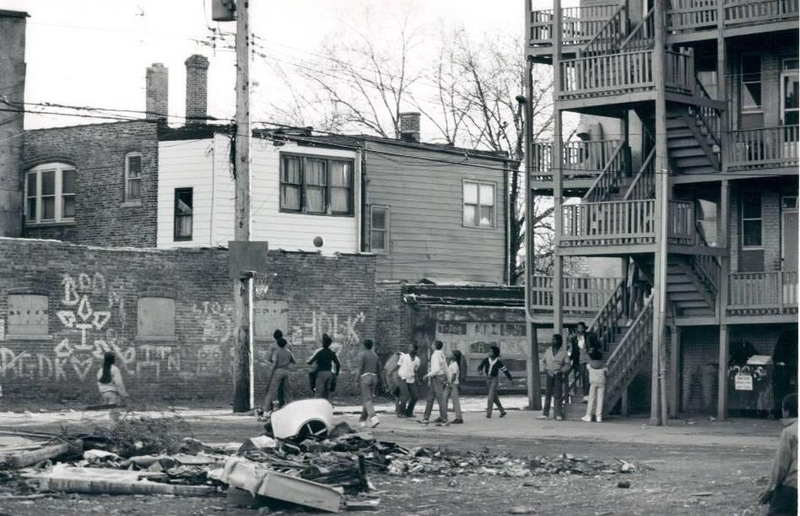 By 1958 The Vice Lords had begun their takeover of the North Lawndale streets and it was at this time that Jeff Fort was 11 years old and getting into more trouble at home. 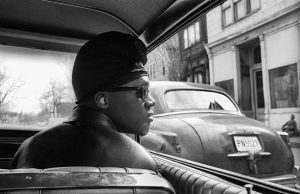 He would often go to the west side (North Lawndale) to see his older cousin Leonard Calloway who was a co-founder of the Vice Lord nation between 1957 and 1958 (The Almighty Black P. Stone Nation, Moore, Williams). 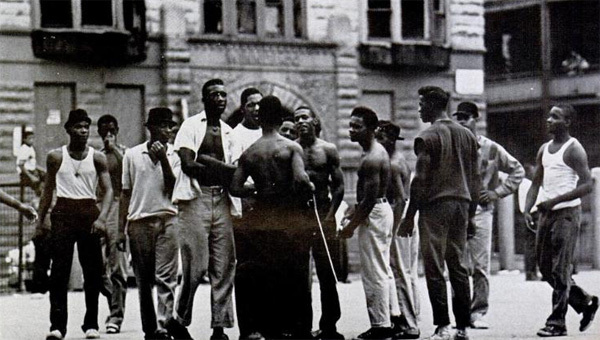 By 1958 The Vice Lords had just hit the streets after being in juvenile detention and were plotting on 100% takeover of North Lawndale. 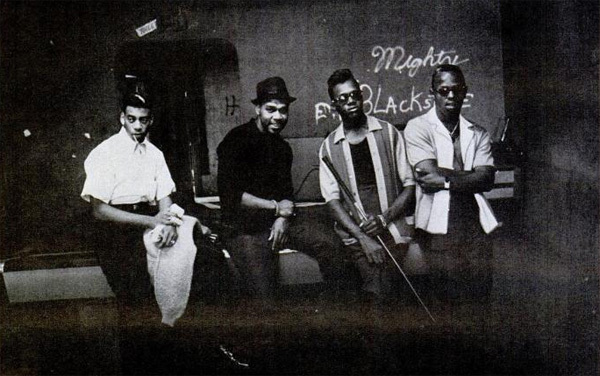 Both Jeff and Eugene would go over to Calloway’s place and listen to all the Vice Lords make all their plans (The Almighty Black P. Stone Nation, Moore, Williams). 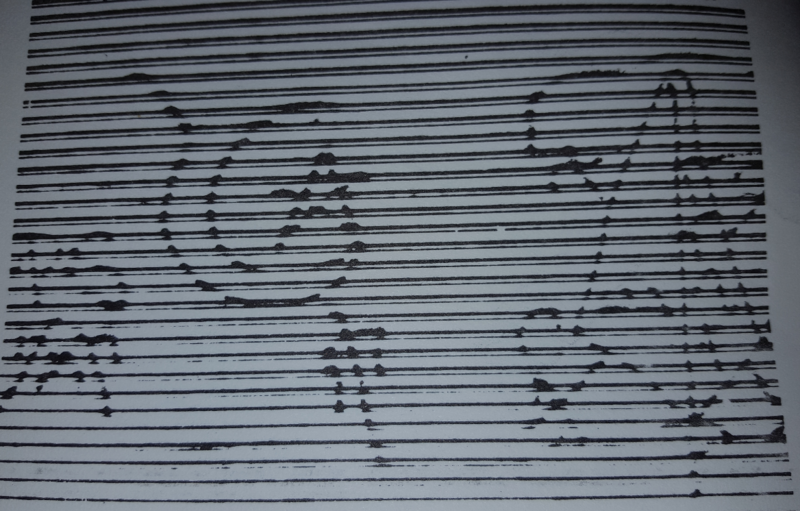 The two boys were heavily inspired by the Vice Lords and wanted to run gangs of their own. These boys were family with the Vice Lord founders. Jeff Fort was cousins with Leonard Calloway and Bobby Gore and Bull was cousins with Edward “Pepilow” Perry. So it was all in the family from the start to form these super gangs and it was all a precursor for the later People Nation to form. The Vice Lords acted as mentors for Bull and Fort, teaching them all about the ways of gang life and building an empire. 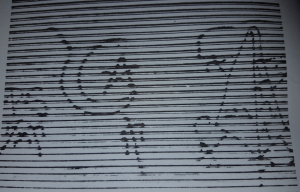 By 1959, the two boys went their own ways with the gangbanging. 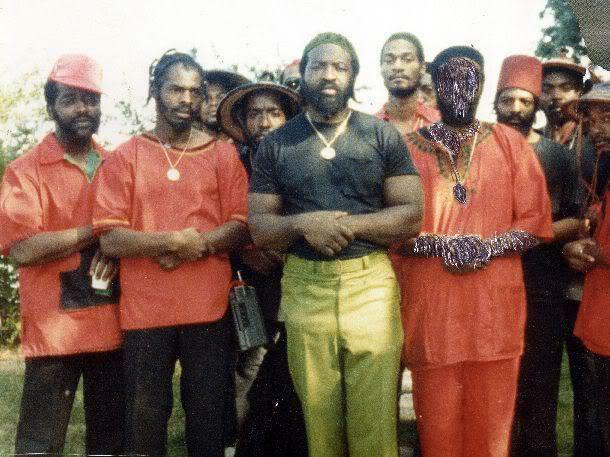 Jeff Fort started his own 10 man gang between 63rd and 65th street and Cottage Grove (Mainly at 64th and Blackstone at Walter Scott Elementary School which was demolished in the mid-1990s). The boys would hang in these streets and try to claim Jackson Park as theirs. The gang was called the “Blackstone Raiders.” Eugene Hairston no longer wanted to be called Lil Bull he was now known as “King Bull” as he was now the leader of the “Harpers Boys” that dominated the corridor of Stony Island between 63rd street and 67th street. The Harper’s Boys also tried to claim Jackson Park as theirs and that is how the two gangs began fighting it out. One big reason for the formation of both Harper’s Boys and the Raiders was the invasion of the Egyptian Cobras in 1959 after the Cobras were beaten out of North Lawndale by the Vice Lords. 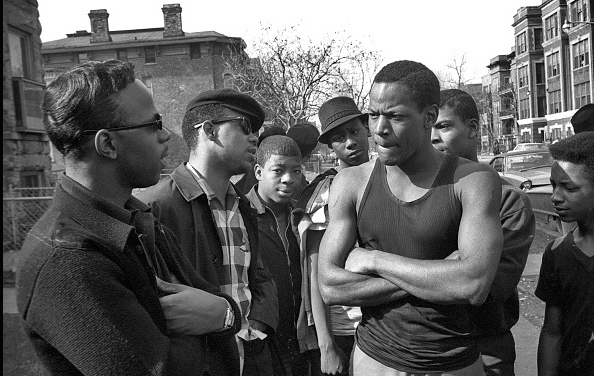 Now the Cobras wanted to colonize Woodlawn and nearby Washington Park and Hyde Park and were pressuring young Woodlawn youths into joining the gang. 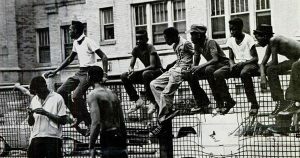 There was also the Devil’s Disciples from Englewood and Hyde Park that continued to invade the neighborhood and cause trouble with the boys in Woodlawn, this also prompted these gangs to form to fight the slightly older Disciples. Hairston and Fort became best enemies for the next 2 years. In 1960, Jeff fort very badly wanted to take over the street corner of 63rd and Stony Island that he nicknamed “The Enchanted City” (Brune and YLISELA, JR, Nov 1988, The Making Of Jeff Fort). This was a corner that was full of hookers and crime and of course King Bull’s gang the Harper’s Boys ran this corner. The two gangs fought over it between 1960 and 1961 until the big truce was drawn in 1961. 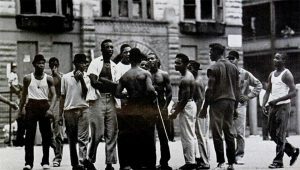 The gangs were evenly matched and each gang started with just about 10 members but as the next two years went by the two gangs grew in size until each of their gangs became the biggest gangs in Woodlawn by 1961. It was that same year that CPD got fed up with the Raiders and the Harper’s Boys and began rounding them up and bringing charges on them, whether the charges were good or not it did not matter, they found a way to charge the kids. Fort and Hairston were both then convicted and sent to St. Charles correctional facility (Illinois Youth Center St. Charles). Even while both boys were locked up their gangs continued to battle hard for Woodlawn. The Devil’s Disciples launched a massive invasion plan of Woodlawn in 1961 after their Raider’s and Harper’s Boys leaders were locked up but both gangs fought the Disciples viciously and caused them to retreat from Woodlawn. It was behind the walls of St. Charles corrections that the two boys decided to follow in the Vice Lord’s footsteps and stop their war, both gangs merged to form the “Black Stone Rangers.” The Vice Lords would visit Woodlawn and hang out there as early as 1959, they were there to help young Bull and Fort run their respective organizations and even after the Black Stone Rangers came about by 1962. Vice Lords and Stones were allies that fought against the Devil’s Disciples (East Side Disciples). What else is interesting is that the Stones and Vice Lords somehow met up with the Latin Kings way back in the early 1960s and became allies to fight against this Disciple issue. In 1962 the two boys returned to 63rd and Blackstone with their newly formed merger and made their presence well known over there. 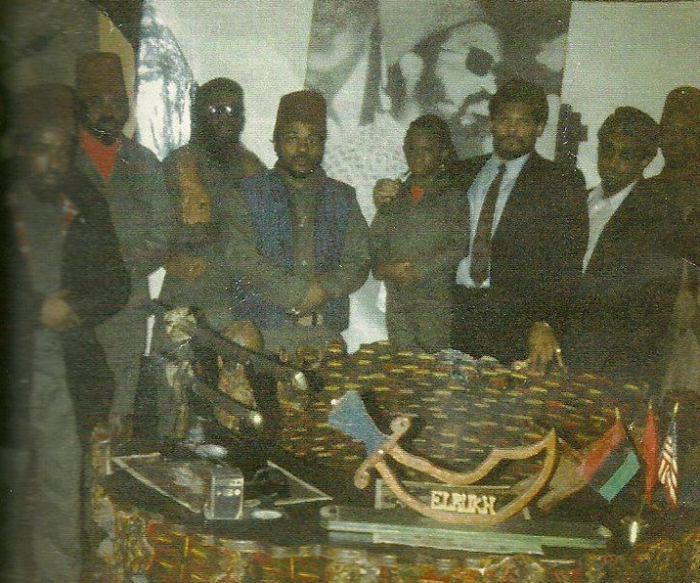 When the Black Stone Rangers hit the streets they clashed right away with the East Side Disciples led by David Barksdale that had now grown out of their original neighborhood by Kenwood and Hyde Park. The East Side Disciples (Devil’s Disciples) were also hell bent on becoming a super gang and were aggressively expanding their operations all along the Southside corridor and trying to expand westward. 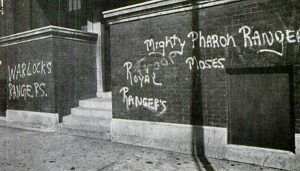 The Disciples and Rangers clashed because both gangs had the same goal of dominating the whole South side, the biggest fight was over the Englewood neighborhood. It was in 1962 when the Rangers began a massive campaign to invade southern Englewood from 68th Street down to 75th Street, within no time, the Rangers wrestled away control from all the small gangs in this area. The Rangers also invaded the small part of northern Englewood between 56th and Garfield Boulevard which is near and on the Englewood/ Back of the Yards border. The Disciples stayed away from the this border perhaps to not tangle with the white and Hispanic gangs of the Back of the Yards but the Rangers invaded without holding back and savagley fought Back of the Yards gangs like the Latin Souls. Once the Rangers became interested in this territory the Disciples then became interested and both gangs battled for this area. The Blackstone Rangers rapidly recruited over 200 members by 1965. In 1965 the Rangers met with Reverend John Fry. Rev. Fry helped the Rangers receive federal funding to help the organization develop and he helped to guide Fort and Hairston to operate a street gang government like structure. He advised them on how to organize and collect government funding in order to greatly expand their empire, and he advised them on how to handle a large number of soldiers. Hairston mainly commanded the older Stones while Fort mainly headed the young Stones. In May of 1966, Fort and Hairston met with a group of gang leaders that headed different gangs that were rivals or allies of the Rangers. The two offered the gang leaders a truce and to also form a council. The council would be named The Main 21. This meant that all the gangs would unite into one alliance. They named the alliance the Black P. Stone Nation (BPSN). This alliance is very similar to the People Nation that exists today. Each gang within the Main 21 BPSN was a brick in the 21 brick pyramid. The top Stone or Brick was the Black Stone Rangers. The other Bricks or Stone leaders were: Eugene Hairston (later that year Jeff Fort) head of the Black Stone Rangers, George Rose (AKA “Watusi”, “Mad Dog”), Lee “Stone” Jackson (now deceased), William Troop (AKA: “Sweet Pea”, “Sweet Jones”) (now deceased), Melvin Bailey (AKA: “Lefty”), Herbert Stevens (AKA: “Thunder”), Lawrence White (AKA: “Tom Tucker”), Adam Battiste (AKA: “Leto”), Sylvester Hutchins (AKA: “Hutch”), Charles Franklin (AKA: “Bosco”), Theotis Clark (AKA: “Thee”), Henry Cogwell (AKA: “Mickey”) (deceased commander of the Mickey Cobras), George Martin (AKA: “Porgy”), Andrew D. McChristian (AKA: “A.D.”), Fletcher Puch (AKA: “Bo Peep”, “Old Man”), Edwin Codwell (AKA: “Little Charlie”, “Caboo”), Leroy Hairston (AKA: “Mr. Maniac”, “Baby Bull”), Charles Edward Bey (AKA: “Benbolaman”, “Bear”), Herman Holmes (AKA: “Moose”) (head of the Gangster Stones ), Moses Robert Jackson (AKA: “Dog”), Paul Martin (AKA: “Crazy Paul”) (deceased), Lamar Bell (AKA: “Bop Daddy”), Johnnie Jones (AKA: “Cool Johnnie”), Bernard Green (AKA: “Droop”, “The Colonel”). This alliance stretched all way from 31st street down to the South Shore neighborhood and now there were 1,500 members of the Black P. Stone alliance. Then by 1967 the BPSN doubled in size to 3,000 members. Power was more or less shared among the Bricks; However, if one of the other Main 21 council members developed a massive amount of power they would mysteriously end up murdered and replaced. This is also how the first Stone symbol was adopted which was/is the 21 brick pyramid. On June 6, 1966 Eugene Hairston was sent to prison on drug charges. In the infancy of the BPSN, they had not become able to run a gang with a leader behind bars; therefore, Jeff Fort became the new and undisputed leader of the BPSN at the age of 19 on the streets; however, there was still a promise made to Hairston to reclaim his throne when he was to be released. Fort fell in love with the power he had and the potential to pull in large amounts of money. Fort also wanted to control the Heroin trade going on in the south side in the black neighborhoods. Eugene Hairston was highly against the drug trade and refused to let his Stones get involved with the Italian Mafia that was bringing in Heroin, in fact, Hairston was ready to smash any Italian Outfit members that came in trying to get the Stones or anyone in the drug business. Now that Hairston was locked up, Fort reached out to Milwaukee mob boss Frank Balistreria, and from there the Stones were connected with the Mafia in getting the Heroin needed to flood the streets. In 1968, Hairston’s top spiritual leader Paul “Profit Paul” Martin was executed by the Rangers when he was led down an alley and shot in the back of his head three times, he was 34 years old. The killing of Paul Martin enabled Fort to ensure that Hairston could not take back power; however, in 1968 Hairston was released from prison and managed to regain some of the nation back under his wing because much of the BPSN was Hairston followers, especially the Titanic Stone branch. Just as Hairston was gaining back some momentum he suffered a setback for conspiracy to commit murder charges for ordering the shooting of 4 Devil Disciples gang members, he was now going back to prison. In the late 60s the BPSN grew into incredible power for that point in time numbering 5,000 members by 1968. 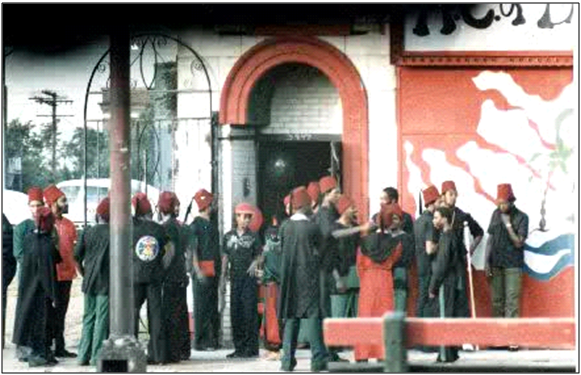 They were at heavy odds with the Disciple Nation (Black Disciples) and the Gangster Nation that was when Stones wore red berets while the Disciples wore black berets. 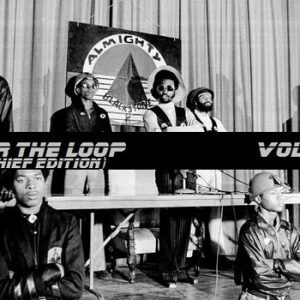 In order to have the one up on the war with the with the Disciples and others, Fort and his mob needed money and guns; therefore, to the public eye Jeff Fort was able to disguise his mob as a group of Do-gooders that were a charitable group raising money to help the community they lived in. The Stones also used extortion tactics to extract money from small business owners by threatening violence if the store owners ignored the charities set up by Stones. Gang apologists and Liberal politicians fell for it and helped Fort raise money for his organization from the federal government. In 1969, Jeff Fort was invited to the inauguration of president Richard Nixon. Fort did not attend but sent one of his men and also Henry “Mickey” Cogwell to it. In 1968 the federal government found some suspicious activities within a job training program headed by the Stones which was the beginning of the FBI surveillance into BPSN operations. 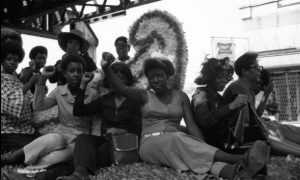 In 1968, Fort began to beef with Fred Hampton and the Black Panthers, especially since the Panthers worked with the Disciples. 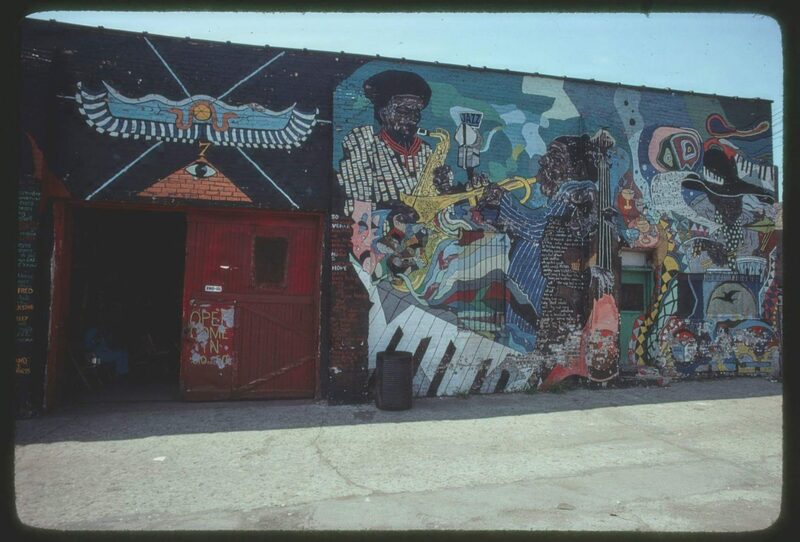 The Black Panthers were trying to gain influence in Jeff Fort’s neighborhood, and this angered Fort. He then threatened that he would start killing Panthers if they didn’t leave. 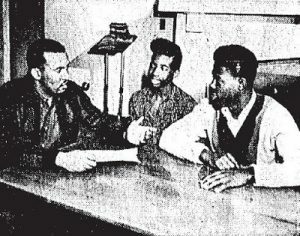 In December of 1968 Fred Hampton visited Fort at his headquarters to discuss the matter. Jeff Fort showed his power to Hampton by snapping his fingers and 100 Stones come out with shot guns, machine guns, and other guns or other weapons. 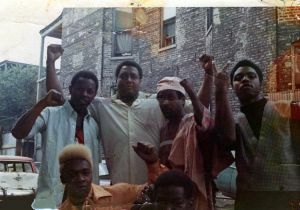 Fred Hampton was then shown the power that Fort had on the streets even at his young age of 21. The Stones had already killed a Panther before this meeting, that was how the rivalry got heated up. After a while of talking Hampton agreed to pull Panther influence out of Stone territory. The Stones engaged in bloody gang wars from 1966-1968 with the Disciples and the Gangsters. There were several gang related homicides during these years because of this war. 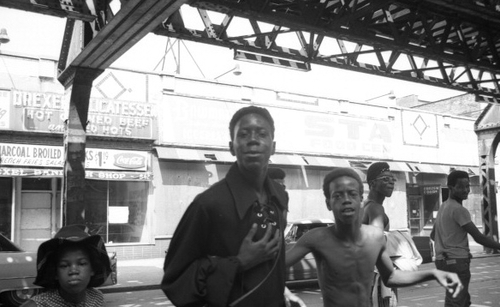 Jeff Fort brought the Black P Stone Nation incredible power after he took over in 1966. If you even talked bad about him, Stones would come up and shoot you even if Fort did not order it. Fort was able to tap into the accumulation of several thousands of dollars’ worth of government funding, but also Fort gained power in other ways as well. 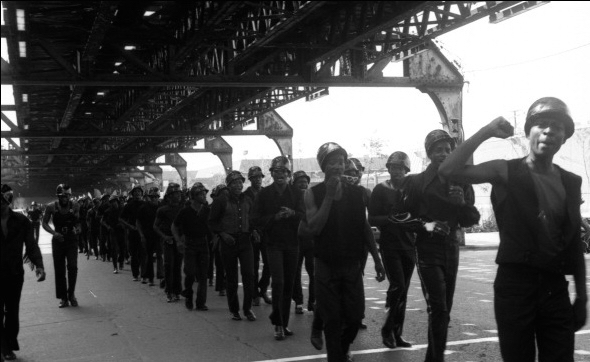 By 1968, Fort had fully tapped into the cocaine and heroin trade on Chicago’s south side black neighborhoods. Fort took this over by force by wiping out other drug dealers and rival gangs that were not within his network, he also negotiated with the Italian Mafia to relinquish these streets, the Italian Outfit gladly went into a deal to withdraw because the black gangs even scared many organized crime members by then because black gangs were at the bottom of the barrel poverty levels, which molded vicious gang members on the streets that were willing to kill for a few dollars as they lived among the worst Chicago slums. The Black P Stones relinquished nearly 100% control of all narcotics trafficking in these communities with the exception of the public housing projects that was run by Black Gangster Disciples and Black Disciplesfor the most part. 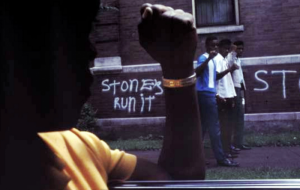 Controlling the drug trade not only gained a lot of money for Fort and the BPSN it also spread fear in many youths on the street that the Stones were indeed running things, giving truth to their slogan “Stone Run it!” that they used to shout and paint on the walls. Another factor that gave Fort and the BPSN so much power was the racial tensions of the 1960s as many black youths were in a state of extreme poverty and many young black males found unequal employment and wage opportunities. South side neighborhoods had fallen into severe disinvestment and redlining practices that caused many businesses in black neighborhoods to close down leaving many blacks out of work and frustrated. 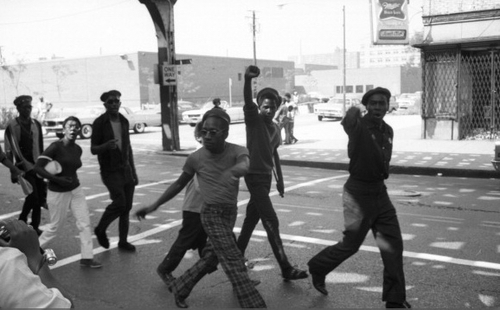 After the Martin Luther King assassination in April of 1968, the Black P Stones took on as major players during the MLK riots as Stones offered an opportunity for young black males to take out their frustrations on the city after they faced too many incidents of job discrimination, wage discrimination, education discrimination and housing discrimination. The Black P Stones activity marched on the city and caused massive destruction after MLK’s death as they incited to many riots. The BPSN was all about black power and acted as a militant group that was more geared toward violence than the Black Panthers. The Stones became very popular and swelled into massive numbers in the late 1960s, making them able to expand their power into the south suburbs into communities like Harvey, Chicago Heights, Ford Heights and Robbins. 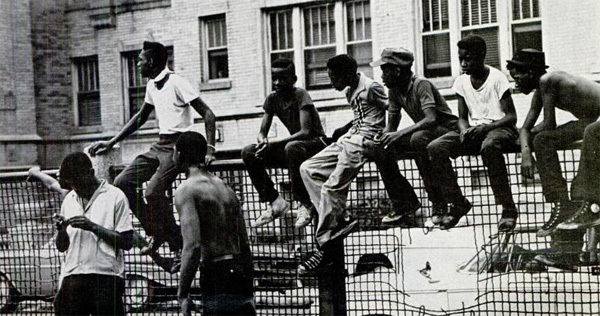 In these suburbs there were many severely impoverished black youths that were desperate for something to look up to and to fight for them just like city youths. In the south suburbs many black families were moving in much to the objection of white families in suburbs like Harvey and Chicago Heights, the Stones would band together and violently attack groups of white youths to show they were not to be victims. After the Stones began their south suburban chapters they began to heavily clash with Vice Lords as both gangs were trying to open territory in these suburban communities, the gang wars soon turned deadly, Stones also fought with other Stone factions in the suburbs. In the early 1970s the federal government was beginning to close in on Jeff Fort. As I mentioned earlier, in 1968 the federal government began investigating Fort and the Stones for misuse of government funding. The government had given the Stones $900,000 to $1.4 million dollars for job training programs, and now their investigations began to discover how Jeff Fort was mismanaging government funds for illegal activities. In 1971 John Fry stepped down from advising the BPSN. 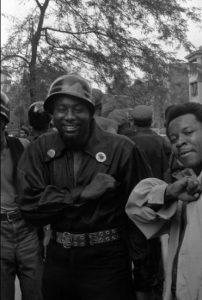 In 1972, Jeff Fort and some others were brought up on charges for mismanaging government funds, he was then sentenced to do time in Statesville prison until 1974. In 1974 he was transferred to Leavenworth prison until 1976. All funding to the BPSN was then shut down, but it was too late, the BPSN had already established great power and had profited from the money they received in the 1960s. The BPSN had already taken the money they received and turned it into more money. 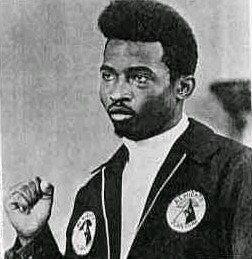 Now that the BPSN was heavily developed, Jeff Fort was able to remain the undisputed leader even while incarcerated in Leavenworth prison. 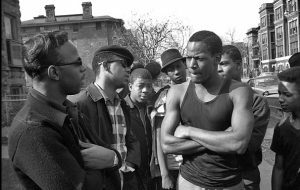 1965, Jeff Fort in the center, Eugene Hairston on the right learning about how to organize in the community and how to create legit community groups. The legitimate businesses and clubs the Stones opened in the late 60s thanks to government funding allowed the Stones to operate illegal activities in the back rooms of these establishments. The selling of drugs, prostitution and other illegal ventures continued to go on, but on the front end there was actually positive activity in these establishments, as GED programs and job training programs were actually helping youths; however, when the raids happened it was decided to shut it all down instead of just shutting down the illegal part of the operations. While Fort was imprisoned, Mickey Cogwell (leader of the Cobra Stones, later known as Mickey Cobras) was leading the BPSN on the street. In 1974, Fort placed “Thunder” in charge of the Statesville Stones and Hairston was running the Stones in Menard. By 1974 Hairston was up for parole; therefore, he decided to send word to the Titanic Stones branch that he was going to be released and to have some soldiers ready for a complete coup over Jeff Fort and regain the BPSN into Hairston’s favor. Several supporters were awaiting the parole of Hairston mainly all from the Titanic Stone branch. Hairston’s parole was denied and that was when Mickey Cogwell was able to seize control of the BPSN and cause more Hairston supporters to follow Fort which meant that those supporters that were awaiting Hairston’s return on the streets were attacked by Fort’s Stones which caused a brief bloody gang war mainly between the Titanics and the rest of the BPSN which caused some TPS leaders like Leroy “Lil Bull” Hairston to get time in prison. Statesville and Menard then fell under total control of Jeff Fort. In 1975 Eugene Hairston was released from prison after being incarcerated for the solicitation of the attempted murder of multiple Disciples back in 1968. Right after his release Hairston set up a small crew of Stones on 70th and Paxton which was where Hairston was taking residence. One day he left his apartment to go to the cleaners on 71st Street when two men jumped out of a car and shot Hairston 3 times. Hairston fled to the cleaners and called for help. 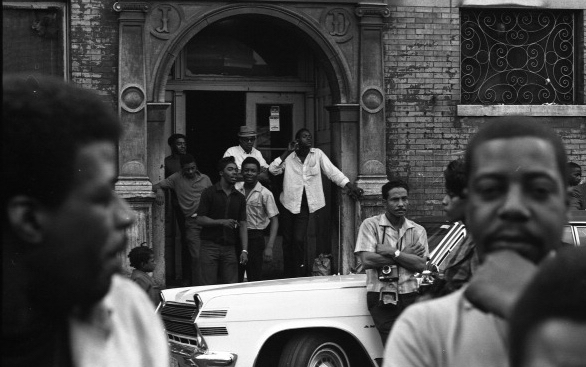 Hairston survived the attack then moved to the north side of Chicago in the Uptown neighborhood where he set up the north side Black P Stone chapter. When Jeff Fort was released on March 12, 1976 he traveled to Milwaukee, Wisconsin where he tried to convert to Islam and join the Moorish Science Temple; however, they would not accept him. 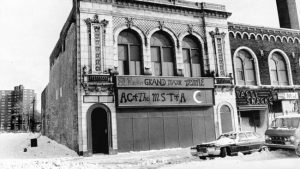 Fort then started his own temple, called the Moorish Temple of America. In April 1976 Jeff Fort merged the BPSN into his new Islamic beliefs that he adopted when he was in prison. He adopted the title of “EL RUKN” that came from a book that was describing shrines in Mecca; this is how the birth of the eye, crescent moon, and five point star emerged in the gangs’ literature. The five point star then was used on the streets but strictly as an El Rukn symbol until 1978 when it also began to be used as the People Nation symbol. There was much objection to the new Islamic order. Mickey Cogwell who was leading the Cobra Stones, objected the most. Mickey Cogwell spoke up and objected at this meeting held at “The Camp” which was at 4233 South Indiana Avenue (42nd and Indiana in Grand Boulevard neighborhood) even after Fort threatened anyone that spoke up at the meeting would be killed. On February 25, 1977 Mickey Cogwell was killed and it was rumored that Fort had him killed. The Black P. Stone gang was still in existence but mainly led by Eugene Hairston and others, the El Rukns were only for strong supporters of Fort. All El Rukn members had to adopt the suffix of “EL” within their last name. This proved to be a massive problem because authorities were able to go on computer systems in the late 70s and 80s and find El Rukn members easily and red flag them. 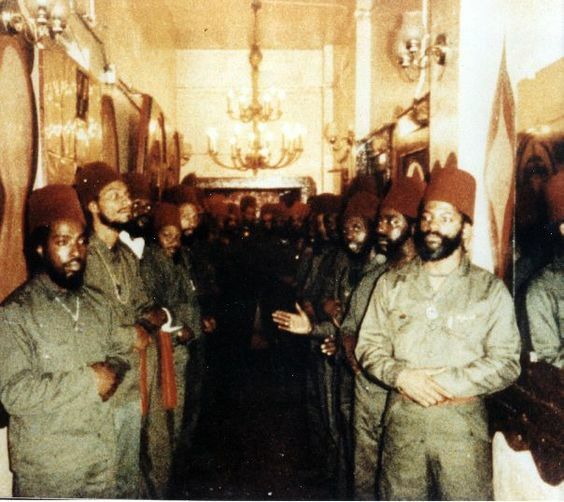 The new El Rukn order was seen as a COUP that took the Main 21 out of power and instead Fort appointed new leaders which were: Felix Mayes, Jake Crowder, Alan Knox, Derrick Porter, Floyd Davis, Walter Pollard, Edward Williams, Roger Bowman, Bernard Green, Thomas Bates, Fred Giles, Eddie Franklin, and Andrew Fort. On April 14, 1978 Fort organized the EL-Pyramid maintenance and management corporation, which made it possible to purchase a piece of property 3945 – 3959 South Drexel (39th and Drexel) that used to be known as the Oakland Square Theater, in the Oakland neighborhood. 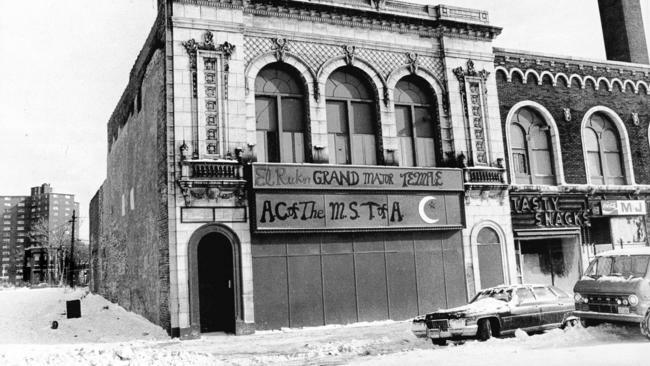 When it was run by El Rukns it became known as “El Rukn Grand Major Temple of America” also known as “The Fort.” It stayed standing until June of 1990 when it was torn down. In April, 1978 the El Rukns organized the People Nation alongside the Vice Lords and Latin Kings because the organization of gang wars was needed on the streets. The war would then just be People against Folk. The El Rukns and Vice Lords represented the Islamic side of the People alliance while the Latin Kings represented the Christian side of the alliance. 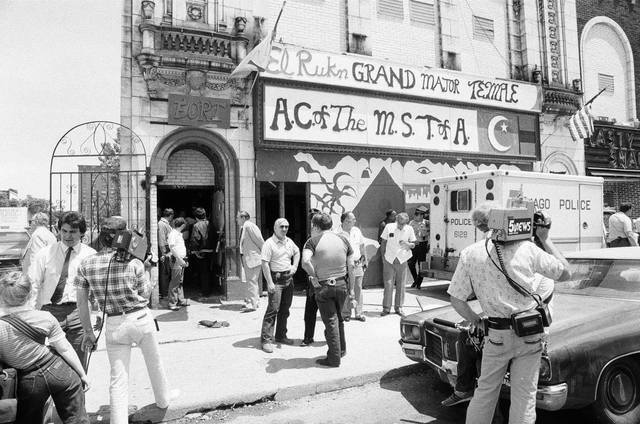 The El Rukns, Vice Lords and Latin Kings invited a few gangs into the People alliance in 1978 which included: Mickey Cobras, Latin Counts, Bishops, Spanish Lords, Puerto Rican Stones and the Insane Unknowns. In the early 1980s the invitation extended to more street gangs. In 1983 Jeff Fort was arrested and sentenced to 13 years in prison for his connection to a large shipment of drugs in Mississippi; while he was incarcerated he continued to run the El Rukns from behind bars. There was even a pilgrimage to Mecca scheduled and the destination was Libya. In Libya, Fort’s top lieutenants made contact with Col. Moammar Kaddafi who was an enemy to the United States. During the late spring of 1986 the El Rukns made two trips to Panama City, Panama to meet with Libyan delegates. They worked out a deal with the Libyans to exchange $2.5 million and an asylum in Tripoli for some high powered weapons. When the EL RUKNS were going to get the weapons they were going to launch a wide scale urban assault on the Police and other government institutions which was to be operation “RUKBOM”. Fort was then tried on terrorist charges, and in 1987 Fort was sentenced to 80 years in prison in another round of convictions, Fort was tried for murder charges in 1988 and sentenced to 75 more years in prison, 50 other high ranking El Rukns were put in prison as well. 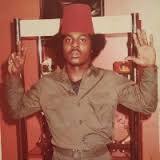 In 1989 the El Rukn name disappeared and the Black P. Stone name reappeared. On Thursday September 22, 1988 Eugene King Bull Hairston was shot to death by two unidentified assailants at 3844 S. Vincennes (38th place and Vincennes) at 12:30 A.M. Ave near his apartment in the Ida B. Wells projects at 548 E. 38th St (38th and Vincennes). He was shot in the right leg, abdomen, chest, and in the head with a .357 revolver that was later found by Police discarded at a vacant lot on the corner of Oakwood and Vincennes according to the Chicago Tribune. The supposed motive was that Hairston did not listen to an order Jeff Fort passed down to him. Fort or the EL Rukns were never connected of the murder but the murder was suspected to be a set up (Thornton and Blau 1988). The co-founder and first leader of the BPSN was now dead and a large part of the Black P Stones were infuriated. Some factions of Black P. Stones began to slightly disassociate themselves with the rest of the nation to a slight degree and there were factions that paid tribute the King Bull. To this day some factions are still King Bull supporters. In 1991 to present day the BPS has experienced interalliance wars with the Mickey Cobras and Vice Lords. BPS still maintains good ties to other People gangs accept two gangs mainly (Vice Lords and MCs); however, in parts of the city MCs and BPS are good friends and VL factions get along with Stones too. The Black P. Stones have seven branches which is why some gangs tag a pyramid with a number 7 in it. Please send in old school pics. If you have any 1959 or 1960s pics and they are your pics and not stolen from the internet, please send them in!